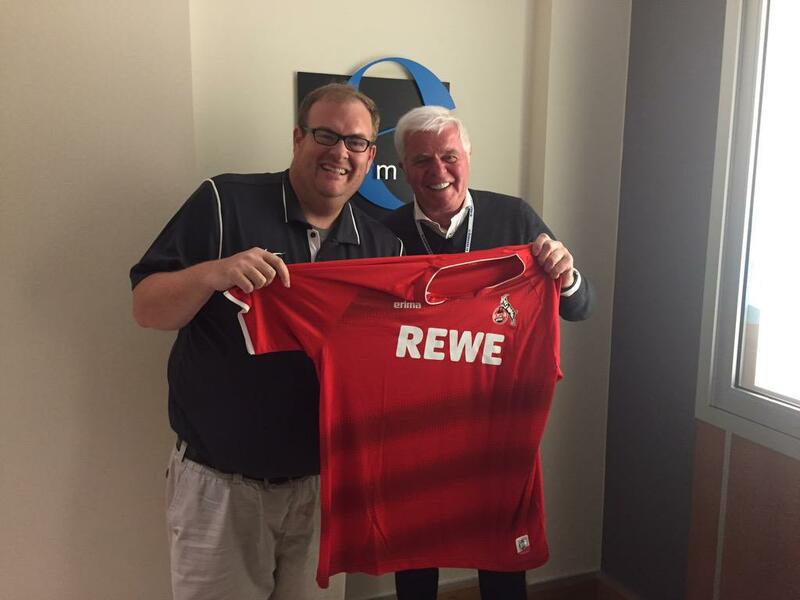 Even though Werner Spinner has returned to headquarters in Köln from his whirlwind tour of duty to the USA, the magic of archived radio shows allows for all those interested in getting some insight into the club’s Indianapolis venture can now listen to Spinner’s sports-radio interview as part of FM107.5/AM 1070 The Fan’s (why are so many sports-radio stations called “The Fan”?) Soccer Saturday program. If you wish to skip to the relevant section, you’ll need to get to the 20-minute mark. You want more details, listen to the Soundcloud file! He (obviously) speaks in English and does so with only a hint of an accent. As a bonus, you get to hear host Greg Rakestraw deliver what might be Indianapolis radio’s first American-accented rundown of the top of the Bundesliga table. Be the first to comment on "Listen to Werner Spinner on the Air in the USA!"